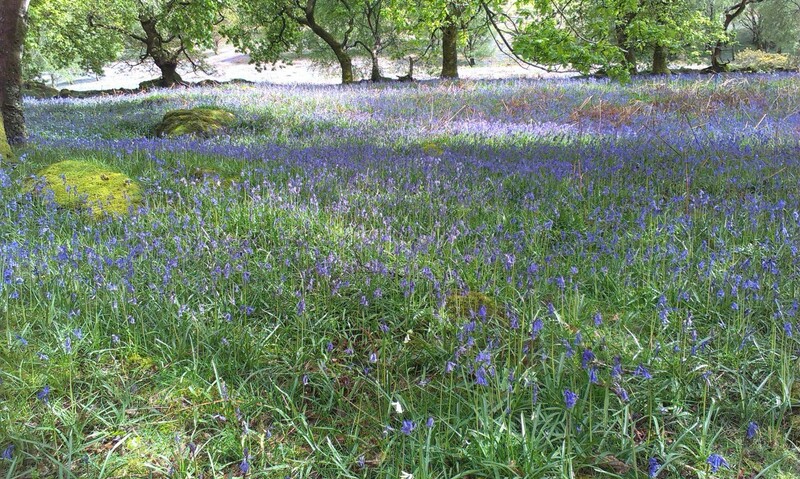 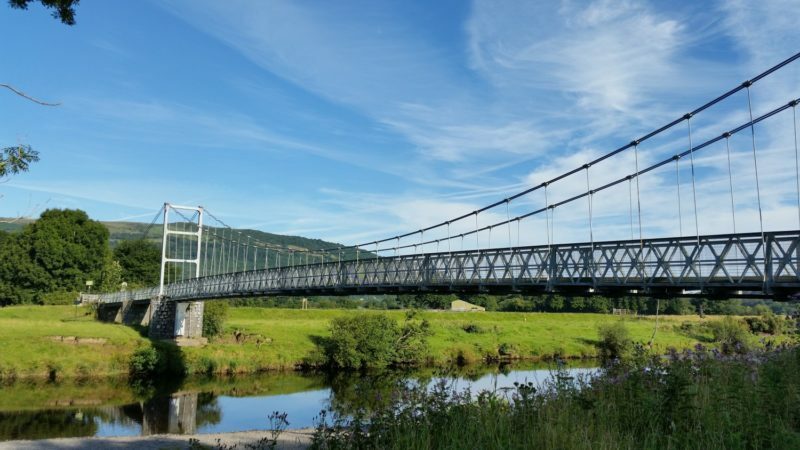 The Walking Festival is based in Trefriw, a lovely village in the Conwy valley just 4 miles from Betws y Coed. 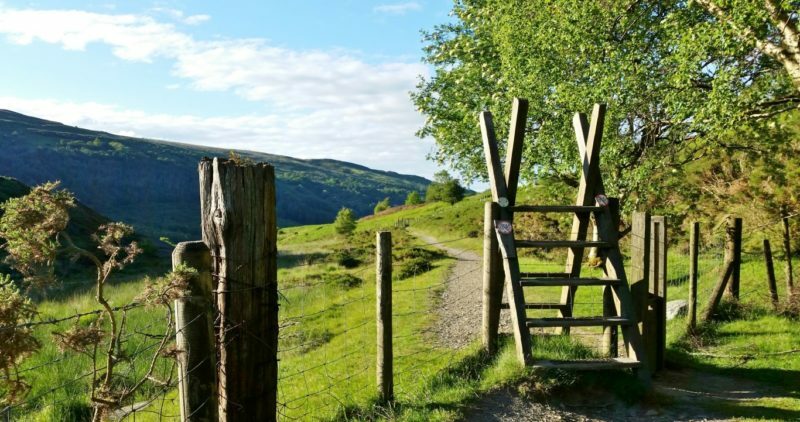 There will be a great selection of walks over 3 days, ranging from easy strolls to more challenging routes which celebrate the wonderful scenery, wildlife and history of this part of Snowdonia. 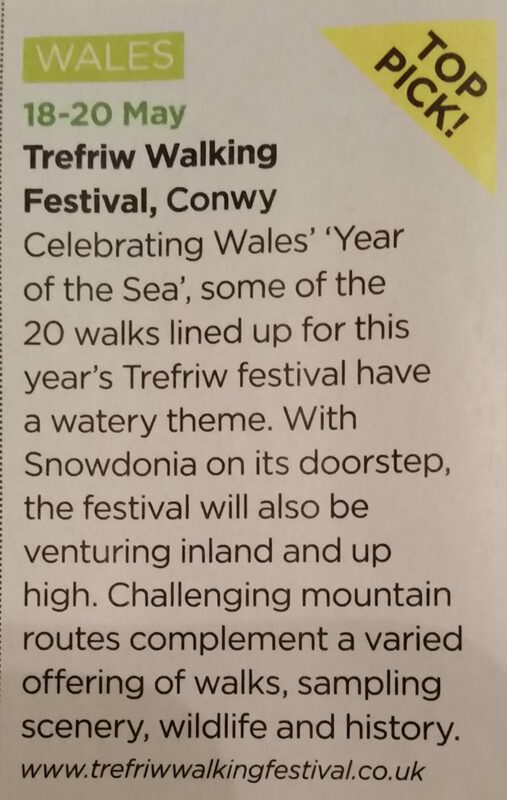 This year there will be several walks with a ‘watery’ context, to celebrate Wales’ Year of the Sea, and we finish on Sunday with our famous Cakefest in the village hall. 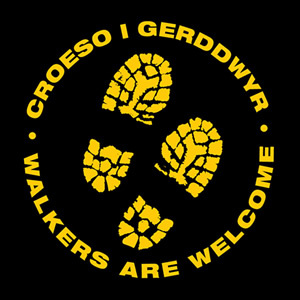 All publicity queries should be directed to Cate Bolsover at contact.trefriwwalkingfestival@gmail.com. 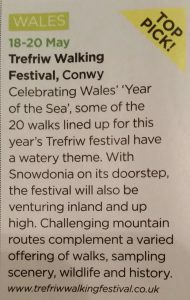 (left) An article from the spring issue of Country Walker.